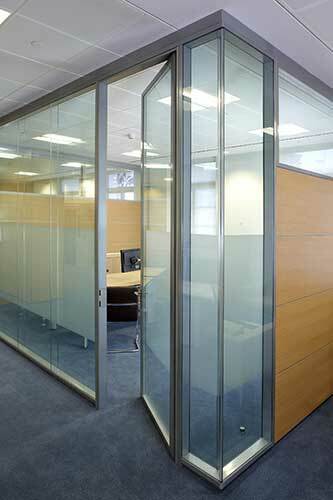 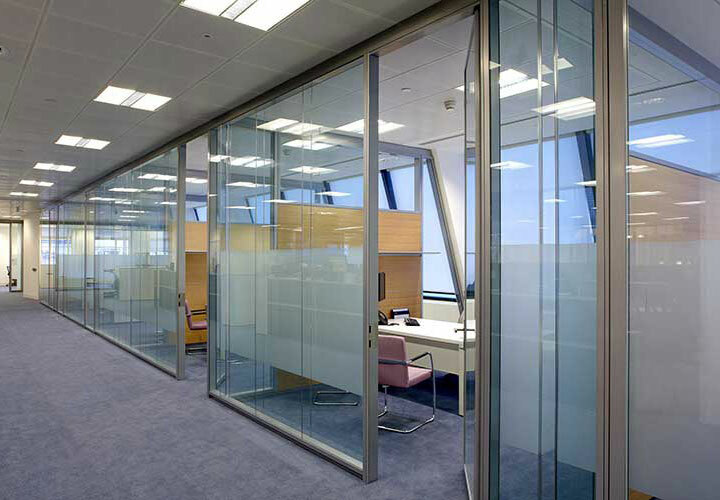 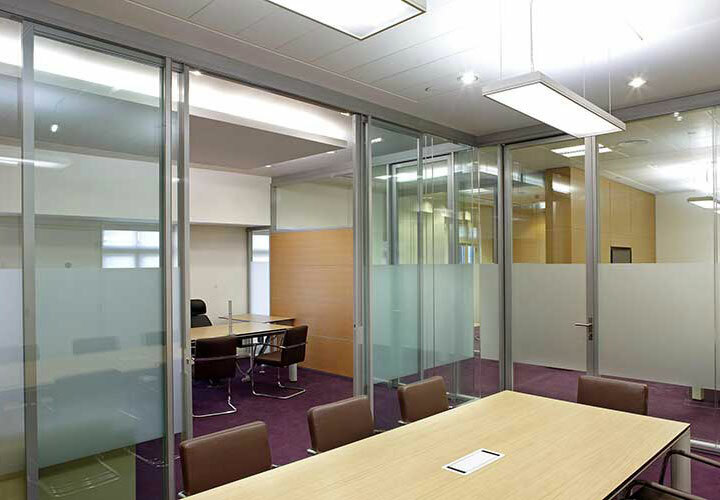 Reconfiguration of office layouts using existing Faram P700 double glazed partitions and Faram P500 solid partitions. 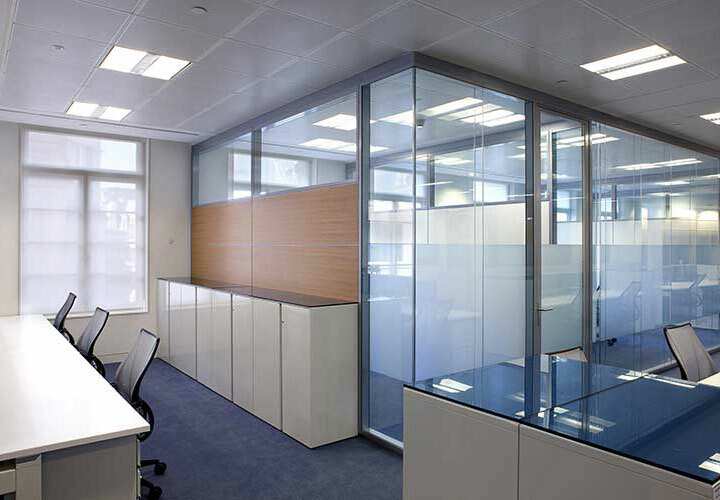 Crosswalls feature a central solid veneered panel in three horizontal sections with an integral aerofoil aluminium shelf. 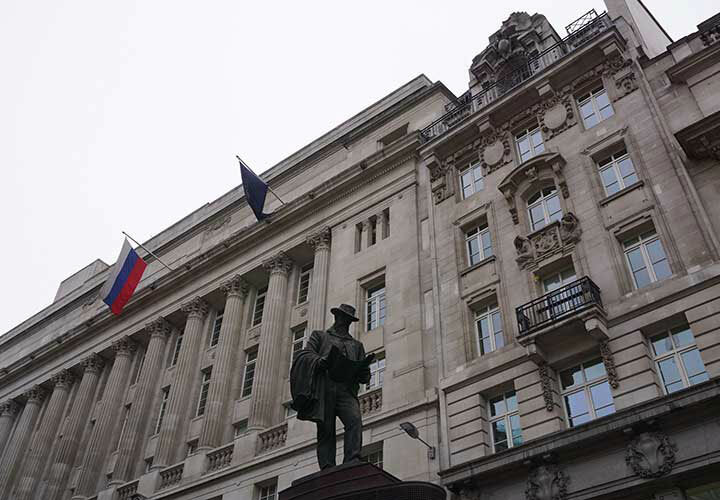 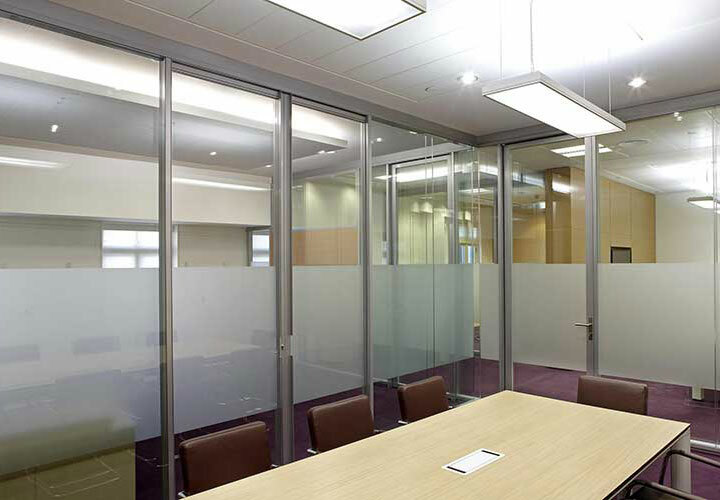 All surrounded by glass; a clearstory panel above, rectangular panel to the front which interfaces with the P700 office front to create an elegant three way joint, and a glazed module to the rear which is scribed to the contours of the sloping flank wall on the top floor. 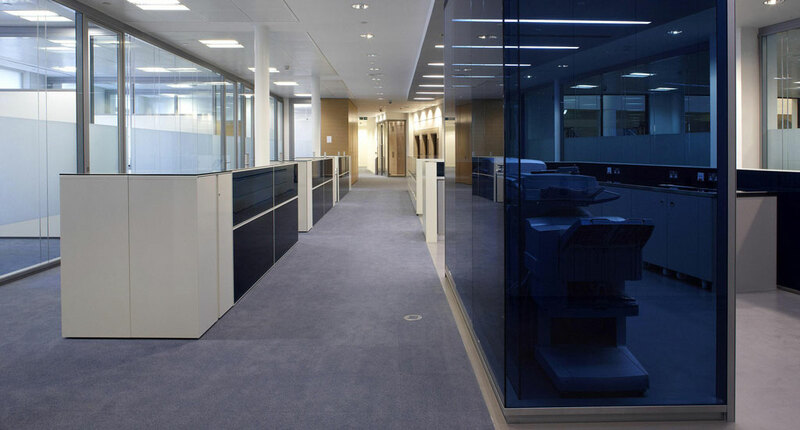 Blue glass panels, reflecting the Bank’s corporate colour, form a transparent but hidden area to house photocopiers and printers. 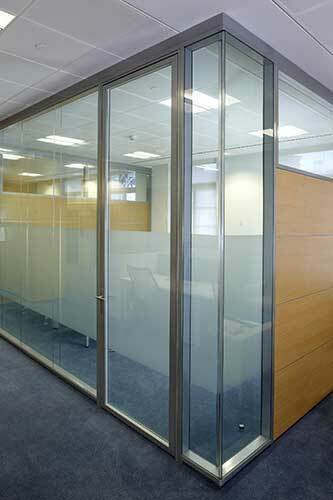 Single glazed sliding “pocket doors” with integral full height handle open onto the meeting rooms.